Late filing. If you file your state return late, you’ll have to pay 5 percent on the tax amount every late month, up to 25 percent. If you owe the IRS and are going through a period of financial hardship, there are ways that you can get relief. Being buried under debt can be emotionally and physically exhausting, but knowing how to approach the situation can make it easier to handle. 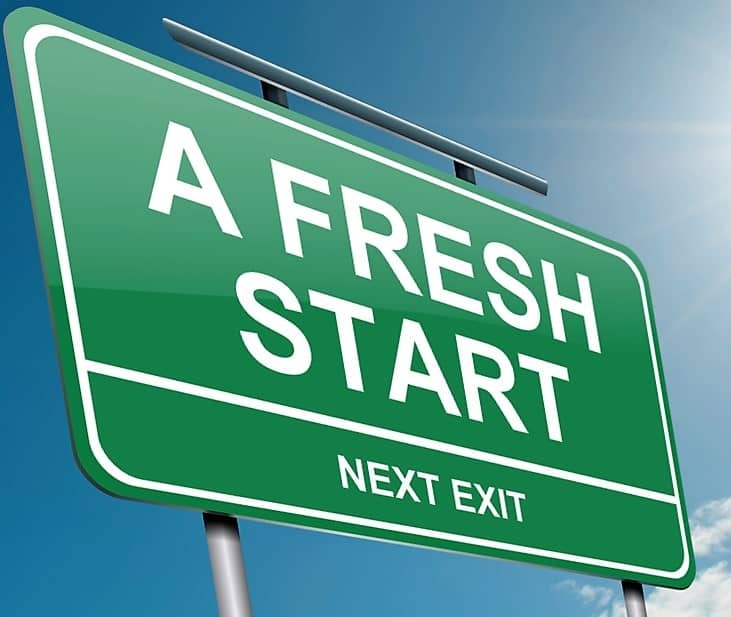 The IRS Fresh Start Initiative and other resolution tactics can make a significant difference in your debt burden. This is what you need to know about IRS tax debt resolution Program. Installment agreements – If you can’t pay off a debt all at once, you can put up to $50,000 of debt as an individual or up to $25,000 as a business into an installment agreement. While these agreements have always been available, the initiative made it easier for taxpayers to use the agreements to settle debt. Under the agreement, you would make monthly payments not to exceed 72 months. Taxpayers can easily apply for an agreement online. Offers in compromise – Allowing taxpayers to settle debts for less than the full amount owed, offers in compromise have become more flexible and cover a larger portion of taxpayers. If you can prove that a settlement amount is the most you can possibly pay within a period of time, the IRS may accept that as a reasonable offer. You can pay off an offer in compromise in lump sum or through an installment agreement. Tax liens – Under the fresh start tax program initiative, the IRS has raised the amount at which it will file a tax lien against a debtor. In most circumstances, the IRS will not file a lien against a taxpayer unless he or she owes $10,000 or more. A soon as a taxpayer has met the requirements (i.e., negotiated a payment plan or paid off the debt), he or she can file for the withdrawal of the lien. The IRS is interested in collecting as much as it can from individuals and businesses who owe money. These programs help taxpayers make responsible decisions instead of shying away from obligations. If you owe the IRS, there are also other alternatives that may be helpful to reduce or pay back the debt owed. Past returns – Reviewing, filing, and amending previous tax returns can reduce tax liability. 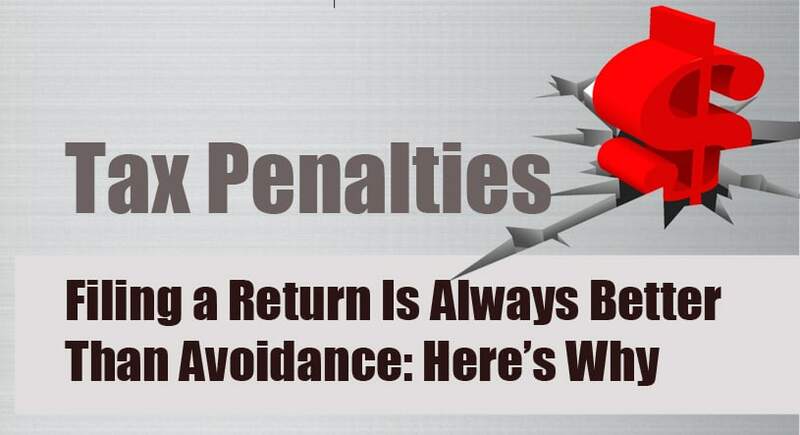 If a mistake was made and/or if you were owed a refund in previously unfiled years, shoring up your tax returns can improve the outlook of your current tax liability. You can only claim a refund within 3 years of the tax return year, and any potential return may be applied toward other tax debts. Innocent spouse relief – If you filed jointly with a spouse who filed a return incorrectly, you may qualify for innocent spouse relief. The IRS won’t hold you liable for the amount, if you can prove that you had no knowledge of the tax responsibility or error. Financial hardship – Anyone who is going through demonstrable financial hardship may qualify for status as “currently non-collectible.” These temporary delays may be enacted to give you time to pay the debt without compromising your immediate well-being. A business in crisis may not see the same level of assistance from the IRS. The agency may choose to close your company instead of helping you find better ways to pay the debt you owe and keep your business in operation. If you have neglected to pay payroll and other taxes, you may want to consider contacting a professional to evaluate your options. Every business is different and may have different resolution tactics available to minimize the impact of tax debt. Filing for bankruptcy should always be a last resort for individuals and businesses that owe the IRS. A tax resolution expert who is an enrolled agent will have the in-depth tax information needed to help you dissect your situation and develop a strategy for addressing your debt. Very rarely is debt completely forgiven, but there are several programs that can minimize its impact on your life. Learning more about your situation is the first step to getting your relationship with the IRS back on track. Avoid tax liens and having your assets compromised by reaching out to Long Island Tax Resolution Services today. I Owe Back Taxes. What Do I Do? 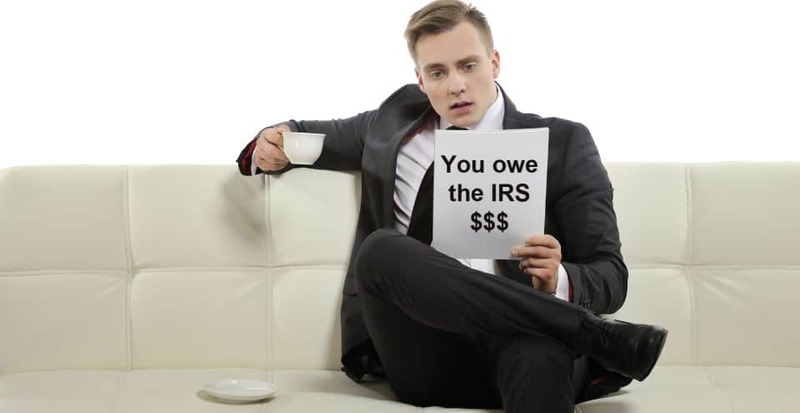 Finding out that you owe back taxes to IRS can be a disheartening experience. Whether you knew it was coming or you are completely taken off guard, now is the time to start thinking about how you’re going to handle the debt. Initially, it’s important to stay calm. There are steps you can take to resolve your situation successfully. Patience can also help you get through this tough time. It may take several weeks or months and a number of back-and-forth interchanges to get you and the IRS on the same page and moving toward a common goal. If you received a letter from the IRS indicating that you owe back taxes, contact the agency for clarification. You can write or call the department and ask for help understanding why your tax bill has changed. The information provided may lead to you to re-evaluate your current year’s return preparation or to seek outside help. Instead of accepting a tax return as is, get a second opinion from a professional to ensure that the return has been completed properly. Individuals and professional tax preparers can easily make mistakes that can change a person’s tax outlook. Get a second opinion to determine a) if you have applied all the relevant credits/deductions and b) if there are any numerical or calculative mistakes that are skewing the return results. With back taxes owed to IRS, you may want to consider seeking the advice of a tax resolution expert. A legitimate tax resolution expert who has a legal background, demonstrated success, and a transparent approach to the resolution process may be one of the best ways to approach your debt. Working with a tax resolution expert offers a couple of distinct advantages. A professional can speak with the IRS on your behalf, has a deep understanding of the laws and IRS code, and will know several resolution alternatives that may be viable for your situation. Without professional help, individuals who don’t understand the IRS code could end up paying more than necessary over a longer period of time. Additionally, professional help can deliver peace of mind that you are doing everything within your power to resolve your debt situation successfully. Individuals and companies that are owing back taxes commonly seek the advice of tax resolution specialists before making arrangements with the IRS. As with any other debt you take on, tax debt is subject to penalties and interest that can compound over time and leave you paying off a far higher bill than necessary. There are several ways to minimize the debt you owe, including proving financial hardship, proving extenuating circumstances, and decreasing interest and penalties under the safe harbor rule. You may have read about payment plans and ways to reduce penalties and interest, but there are other rules that may help you minimize your debt. A professional can help you evaluate your overall financial standing and choose a settlement strategy that will benefit you most. Whether you choose to have your case reviewed by a professional (typically free of charge) or settle your debt on your own, avoid agreeing to use personal credit cards and other financial assets like your retirement plan to pay off your debt. Doing so could lead to even more interest and taxes owed. Can I still get a refund if I owe back taxes? If you truly owe back taxes and it’s not a mistake, you will not be able to claim a refund. The IRS will take money from any refund (state or federal) and apply it to your debt. Can I buy a house if I owe back taxes? Every debt situation is a little bit different. Some people can still purchase a home, while others can’t. The answer depends on your payment plan, your debt-to-income ratio, your credit score, and other factors. Consult a professional before trying to apply for home loans if you owe back taxes. Are there credits I can still claim to offset the debt? There may be other credits that you can claim once you have discovered that you owe back taxes. A professional can help you determine if there are applicable deductions or credits that should have been applied to offset the amount of debt or erase it entirely. There is no need to panic, even if you owe a significant sum to the IRS. 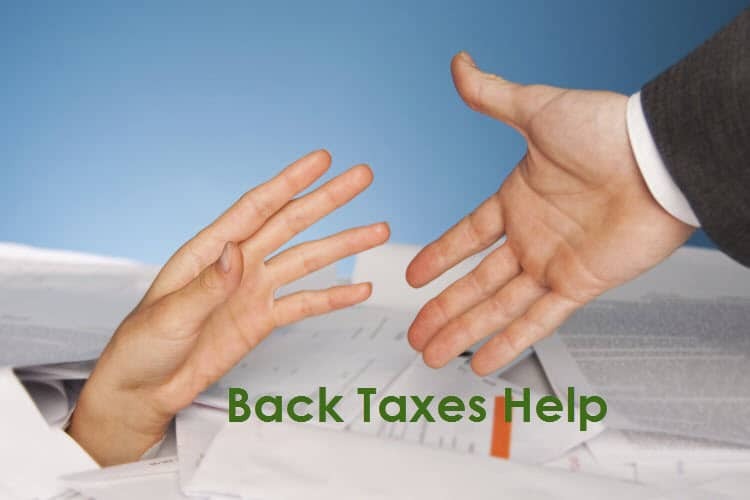 Contact Long Island Tax Resolution Services today for IRS back taxes help. While just about every American with a job owes taxes to the IRS annually, not every taxpayer follows through. Each year, thousands and thousands of people fail to either file or pay their taxes and end up with back tax problems. Are you one of those people looking for tax relief help wherever you can get it? The good news is there are options for satisfying a tax debt efficiently and effectively. It simply takes some effort on your part and a determination to live debt-free. While there is nothing good about owing taxes to the IRS, it is helpful to know you’re not alone. Between 8 and 20 million people are reportedly behind on their taxes at any given moment. So, what do you do – especially when you really can’t pay? Monthly installment plan. When you are able to see down the road and believe you’ll eventually have the financial capability to pay off your tax debt, a monthly installment plan is effective and efficient. These installment plans allow you to set up neat monthly payments over a predetermined period. According to the IRS, those who owe $50,000 or less and can satisfy the full debt within six years are ideal for installment plans. However, it may not be as easy as it sounds for everyone. Former IRS senior trail attorney Scott Estill says, “Interest continues to accrue on the tax debt until paid in full.” It’s also worth noting the IRS can still file a federal tax lien while you’re making payments. Estill also warns taxpayers interested in filing for a monthly installment plan, “The IRS may require full financial disclosure of assets and liabilities,” which gives them a clear path to your assets if your installment agreement doesn’t work out. Offer in compromise. When paying what you owe is simply not an option, the IRS may allow you to pursue an offer in compromise – which “allows you to settle your tax debt for less than the full amount you owe, if you meet strict requirements.” The positives of an offer in compromise are straightforward: you don’t have to pay the full amount and the problem isn’t there forever. File your returns – Before you do anything else, make sure all un-filed tax returns are filed in a prompt manner. Otherwise, the IRS will not negotiate with you. Request more time – If the amount you owe is small, it is possible to receive an extension from the IRS. To request additional time, fill out an Online Payment Agreement application on www.irs.gov. Get a loan – For those that qualify for a loan, it’s best to go ahead and get a loan and pay your bill in full. Repaying your loan will be a much friendlier process than trying to satisfy a massive tax debt in the future. When struggling through tax debt problems, you always have the option of handling things yourself. The IRS offers plenty of opportunities to fill out forms and educate yourself on its website. For tax debts under $10,000, handling it on your own is a practical option. When the tax debt becomes greater – $15,000, $20,000, $25,000, or more – it can be very hard to solve the problem on your own. Instead, it’s wise to consider using the services of a tax professional. When it comes to back taxes, it’s important to satisfy your debt as soon as possible. Certified tax professionals and debt relief specialists understand how the IRS operates and can help you choose the best strategy for your situation.